Summertime visitors to the Heritage Farm are sure to admire the bright violet morning glories climbing up the sides of the century old barn. Diane grew up helping her grandfather collect seeds from his morning glories each fall in order to ensure their porch would be graced with their beauty the next summer. When Diane became the last member in her family to possess seeds for these flowers, she realized that there must be many more families who are also concerned about the future of their heirloom seeds. In response, Diane and Kent Whealy started a seed swap called The True Seed Exchange, in 1975 to enable gardeners across the country to share their family’s seeds. Over the next 43 years, the swap Diane and Kent started grew into Seed Savers Exchange and is one of the most important organizations dedicated to preserving the diversity of America’s rich but endangered seed heritage. Among the many programs of SSE, the original seed swap still exists under the name The Exchange. The Exchange has grown into an extraordinary source of biodiversity, accessible via an online platform and an annually printed Yearbook. The Exchange is unique because the seeds available for request have been grown and cared for by gardeners around the country. The seeds are as rich and varied as the people who offer them. Bill Minkey holding a copy of the 2017 Exchange Yearbook. On the Exchange, you’ll find seed stewards like Bill Minkey, who claims he wasn’t interested in gardening until seeing the wide variety of tomatoes offered in the Exchange 27 years ago. Bill lists an impressive 912 varieties on the Exchange including a stripey green tomato resembling a cucumber called Green Sausage; the Black Beauty tomato, the world’s darkest tomato developed fairly recently by Wild Boar Farms; and Abe Hall, a pink beefsteak tomato that Hall found floating in the Ohio River during a flood. Little Potato, left. Api Etoile, right. The Exchange also features thousands of varieties every year from SSE’s collection. This past year, participants could request a tangy cucumber called Little Potato or an unusually shaped apple called Api Etoile, or Star Lady, that originated in France in the 1600s. With over 19,000 varieties of fruits, vegetables, grains, herbs, and flowers, there is something for everyone. If you have seeds to share or are looking for something rare, the Exchange is the place for you. To get started, go to the Exchange website and create a profile. Instructions for listing and requesting seeds can be found here. Every year, the listings on the Exchange are printed in an annual directory called the Yearbook. To have your seeds listed in the Yearbook, they must be on the Exchange by November 26, 2018. If you list seeds in the Exchange, you will receive a copy of the Yearbook (for free), which is distributed via mail in January. (Seed Savers Exchange members at the $50+ levels are also eligible to receive a Yearbook. Refer to the Membership FAQs for instructions on how to request a yearbook. 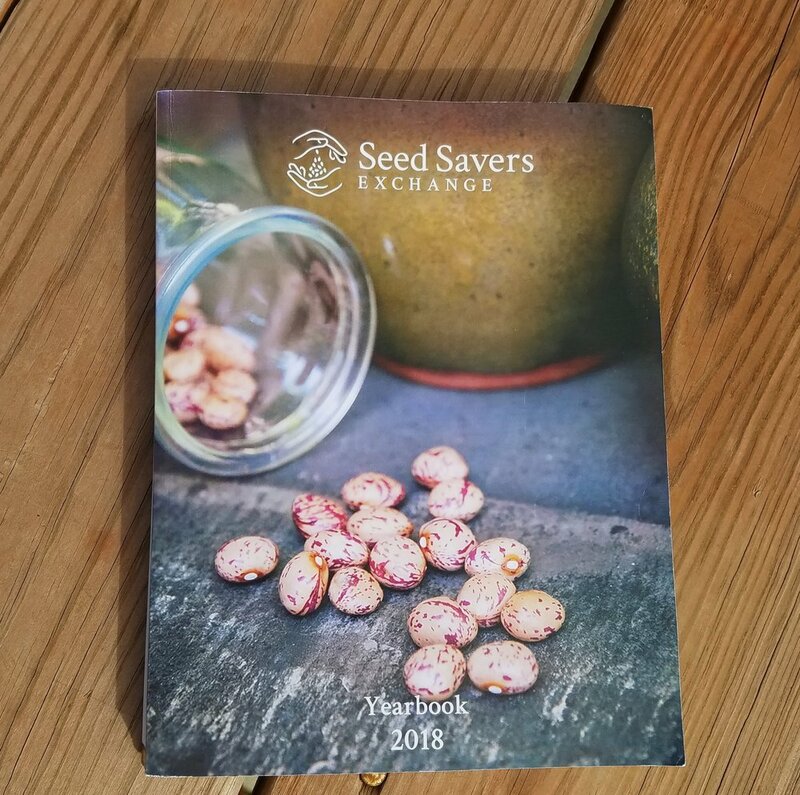 Today, Seed Savers Exchange is known internationally as a leader in conserving and promoting the diverse seeds heritage of America’s gardens. It is humbling to remember that Seed Savers Exchange began with a simple idea to preserve families’ heirloom seeds, including the morning glories and German pink tomato seeds Diane received from her grandfather, by sharing them with fellow gardeners. You can keep this dream alive by participating in The Exchange this year.